“Ready or Not This Party’s Hot” Release Date Annonuced!! Release Date June 12th 2012!! 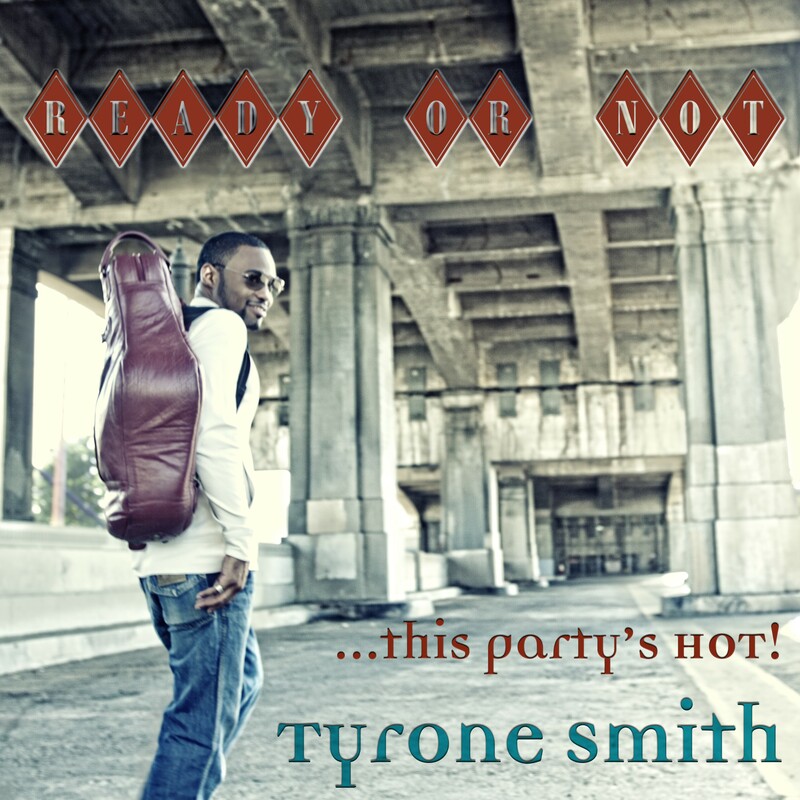 “Ready or Not this Party’s Hot” is not only the name of the upcoming EP from Tyrone Smith, but also the true theme of the vibe this new music gives. Gliding effortlessly through a wide range of styles and grooves this music is consistent of one true perspective and thats GROOVE; And despite contemporary sounds every song just says: JAZZ. Well-rounded is the best way to describe Tyrone Smith and his music; It has the virtuosic display of musicianship and yet still keeps everything in the pocket to appeal to the masses. So beware and get ready cause, “Ready or Not This Party’s Hot“! I and the Ross-Jackson family are very proud of you. Keep doing you. You know I love the Sax.